Welcome to the Corowa Rowing Club, which was established in 1863. This club is vibrant and energetic, providing its members with the opportunity to enjoy the sport of rowing on our mighty Murray and competitively throughout Victoria. Members can either enjoy recreational rowing and the club facilities, or competitively with the assistance of its dedicated coaches and mentors. 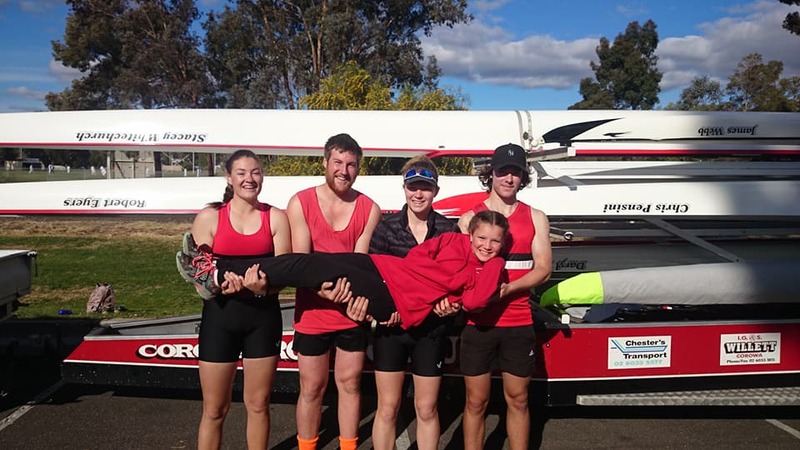 Corowa Rowing Club has great opportunities for socialising, having fun and meeting new people of all ages through its special events and functions as well as the regular Thursday night dinners. The club is administered by a committee of management, elected by the members at the Annual General Meeting each August. The club’s operation relies on the services of volunteers, no one is paid for their service. To raise money to buy equipment and improve facilities for members, various functions and activities are held each year, which all members have the opportunity to contribute to. Regular fund raising activities include the popular 50 Club, the Trivia Night and Raffles. The club’s season culminates in its Presentation Night, when a series of awards are presented to rowers and club-persons for outstanding achievement and participation.